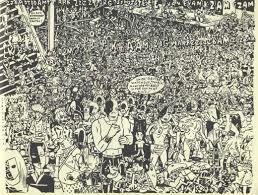 Gary Panter is a manic expressionist painter, draftsman and underground comic artist. He's the author of the surrealistic Jimbo, had work in the seminal 80s alternacomic zine RAW and, yeah, also did the set designs for Pee Wee's Playhouse. 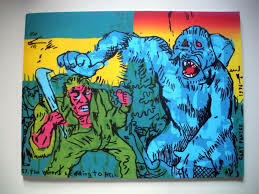 We talked about comics, meeting Jack Kirby, psychedelic light shows, making paintings versus making comics and a lot more.